In Goa, not only the beaches attract the heart of the people, but there are many beautiful churches and fortresses which attract people towards themselves. Chapora Fort also known as Shahpura. Adil Shah built it. Hence the alternative name for this fort is Shahpur. Which was the Sultan of Bijapur on the banks of river Chapora. The Chapora Fort Goa was built by the Portuguese in 1617 to protect its territory from the Hindu invasions. 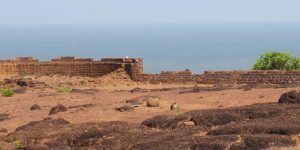 The fort was built even during the famous fort Aguada but due to the invasions of the Hindus, Aguada Fort was destroyed and its ruins tell the story of its struggle. Finally in 1892, the Portuguese left Chapora Fort Goa. But still you can see the remnants of two supply tunnels used during the war and the invasions. Chapora is near Vagator beach in North Bardez district. 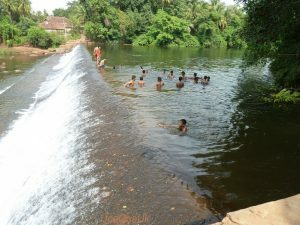 Mapusa is easily accessible from the city, which is located approximately 10 kilometers away. If you are in the expanse of Baga, Calangut or Anjuna beach, then you will not have much time to reach here, just move towards north. You can also go to Panaji or Vasco with a rental taxi. 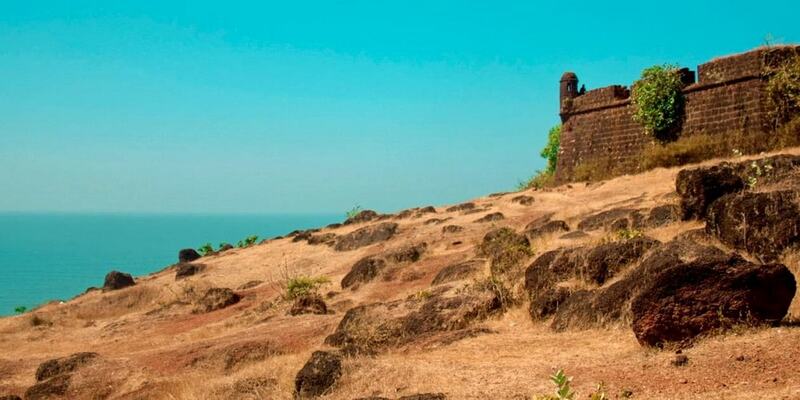 The best time to visit Chapora Fort Goa is in the summer. 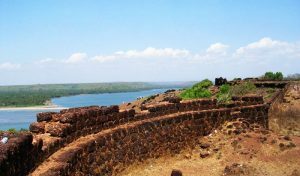 If you are making some unique hopes from the historical ruins of Chapora fort in Goa then Chapora Fort can frustrate you. You will find only huge and irregular, red laterite stone walls here. Also, a gate, a citadel with cylindrical dams, can see some vague barracks and bushes simultaneously. In the daytime, the fort of the fort can excite you and make your evening memorable, this is a great place. For a stroll, a relaxed atmosphere and picturesque sunset gives you the joy. Quepem is known as a major city of Goa. This is very beautiful. There is a very interesting story about this city. It is said that in this city, a person constructed a house which was created through scratches and two pillars. After the construction of Quepem Goa, that person had made a very strange announcement. Another That person had said that criminals who want their rehabilitation and want to improve their life. They can go through these two pillars and start a new life. Coupem’s founder José Paulo built a mansion named Palacio de Deao, about two centuries ago. Later it was preserved and today it is a major tourist attraction. The architecture of this house is a similar form of Indian and Portuguese architecture. Both cultures appear very well in it. Here is a unique architectural blending. Whether there is a restaurant or a library in this house, or the doors of the churches built in the Hindu style. This is enough to attract the mind of any of the tourists coming. The afternoon time is the best time to come here. If you are enjoying the special meal of Goa sitting in this place then there is just something else to enjoy here. Because by doing this you will be completely immersed in Goa. 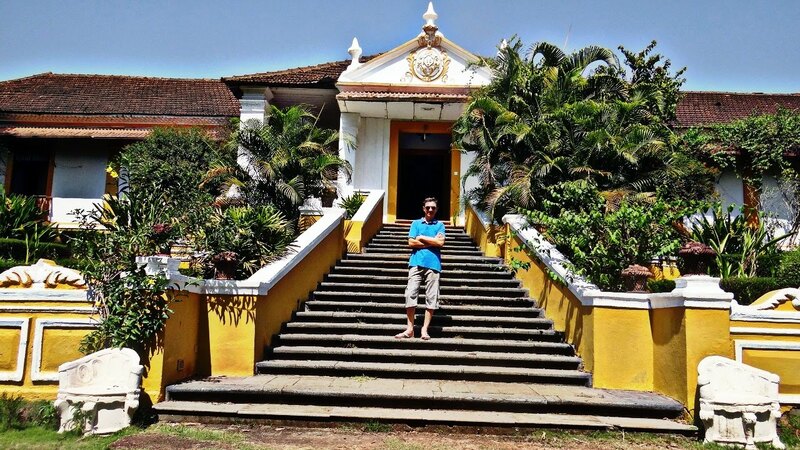 Palacio de Deao is a place which still holds memories of ancient Portuguese Goa in its own right. If you have to see ancient Portuguese Goa then come here. If you are here, then go to the Holy Cross church which is very popular among the locals. 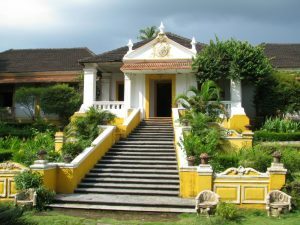 Palacio de Deao is located in Quepem, 6 kilometers from Margao. To get here, tourists can take a rental car from Panjim, Margao or Vasco da Gama. 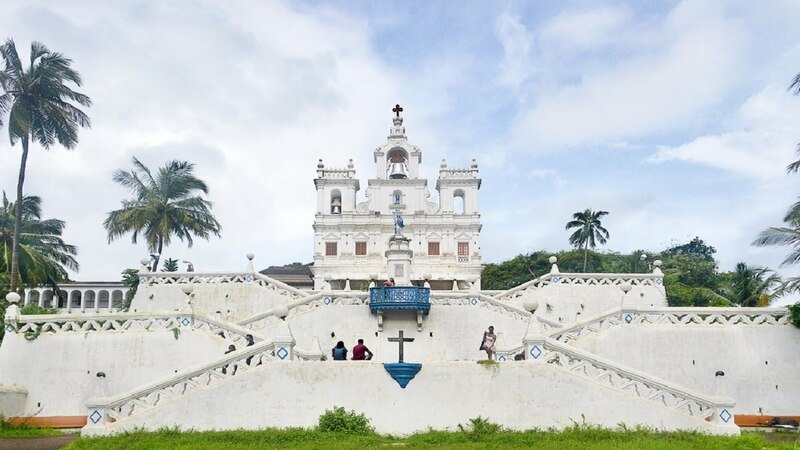 Panaji is a real inspirational scene of the city, clean white attraction, contemporary architecture and accessible accessible, these are some of the myths of Our Lady Of The Immaculate Conception Church Goa, the capital of Goa, Panaji’s most famous church. When you reach the church, you see impeccable roads, look at the sidewalks made of smooth small stones and see the statue of Virgin Mary on the entrance to the church. This church was originally built in 1541 but it was completely changed in 1691. Because at that time there was a lot of money available in the church. There is no limit to its magnificence since then. The interior is simpler than the outer part. Our Lady of the Immaculate Conception Church Goa is to the main altar dedicated. With two subject altars, I am dedicated to Jesus Christ and Our Lady of Rosary respectively. The main building also has a prayer hall dedicated to St. Francis Xavier. However this church should look into the day. Most pilgrims believe in seeing its beauty at night. Business activities also run in the vicinity of the church. So tourists and pilgrims can also enjoy shopping here. Our Lady of Immaculate Conception is easy to reach. Regular bus services are available from Panaji city and Vasco da Gama and Margao. The best way to get here for tourists and residents of Baga, Kalangut and Kendolim area of ​​North Goa is to travel by cab or they can travel by rickshaw. You can also travel by rental motorcycle. If you are visiting the church in the afternoon, then you can hire a motorcycle and see them according to your time. 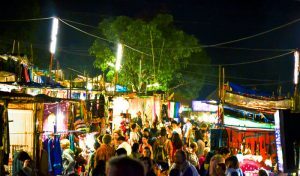 There are many markets and night markets in Goa. 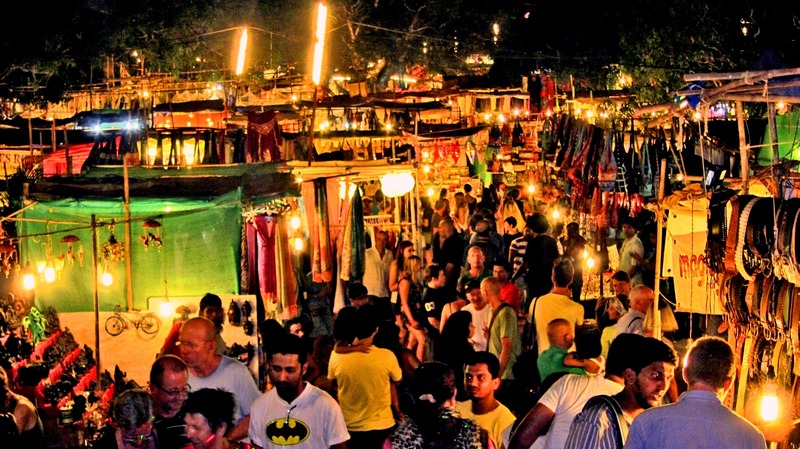 Saturday Night Market is located in Arpora, North Goa. The same is the night market of North Goa’s Arpora. It is located 4.3 kilometers from Anjuna beach and 3.7 kilometers from Baga beach. Saturday Night Market Goa is also called the Ingo’s Night Market. It is open from 4 PM to 11 PM from November to April. But you will find it fully functional only between the middle of December and early February. Many stalls may be closed at other times. In peak season, the market may stay open till late in the night, 12 AM and beyond. People from all over the world come here to shopping. There are several choices for shopping in this market. Arpora also stole all shopping addices for hours. Here are European traders who hold special types of artifacts and jewelery items. For non-shoppers, there are many bands for live entertainment and all are free. If you want you can also take some wonderful junk jewelry collections. In case of food, Tibetian cuisine is available from Italian. This is a great place not just for shopping, but also for feeling the Goa ambience. There are party zones for revelers. There is live music, bars, and restaurants serving organic salads, chocolate waffles, Greek food, and local delicacies. You can shop clothes, bags, spices, funky jewelry, handicrafts, leather accessories, shoes and more. 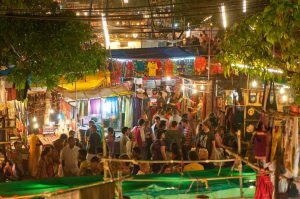 The night market at Arpora attracts a huge number of tourists – both Europeans and Indians. 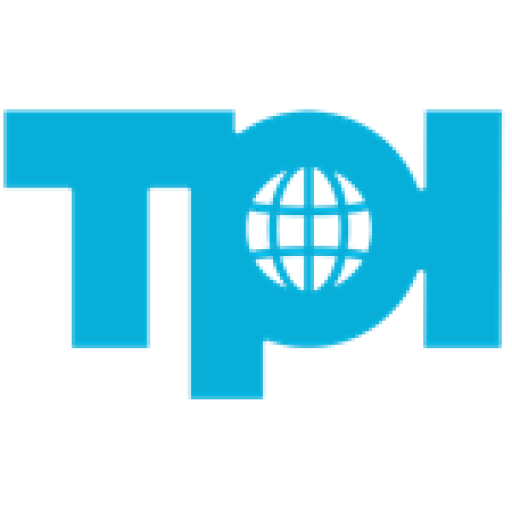 It is particularly popular with foreign tourists, and the hippie culture. You will find many stalls run by Europeans, making the ambience distinctively cosmopolitan. The nearby Mackies Saturday Night Bazaar beside the Baga River is much smaller in size and has less character.